I made this soup in two different steps. 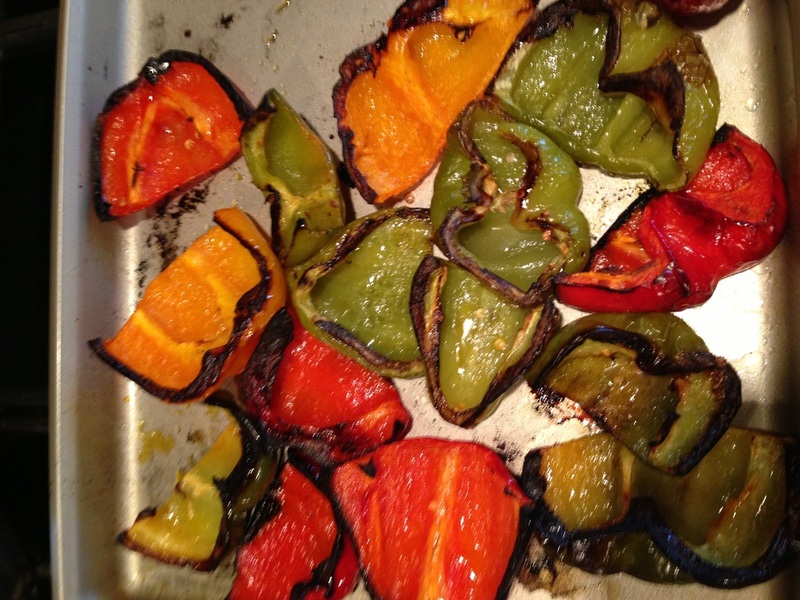 All the peppers were roasted the day before the soup was made. I decided to roast the peppers not being sure what I was going to use them for. 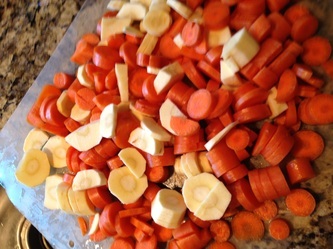 I added them to carrots and parsnips for this soup and used a Tuscan seasoning mixed which is spicy and married well with this soup. 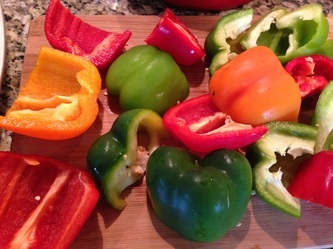 If you don't have all the same seasoning mixes as I have I will always list all of the ingredients and you can use all or some and it will still be delicious. 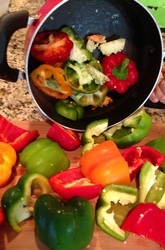 When you are spice shopping think about picking up some new mixed spices. It is really fun to have all these mixtures handy and helps you be creative with your recipes. I hope you enjoy this recipe. 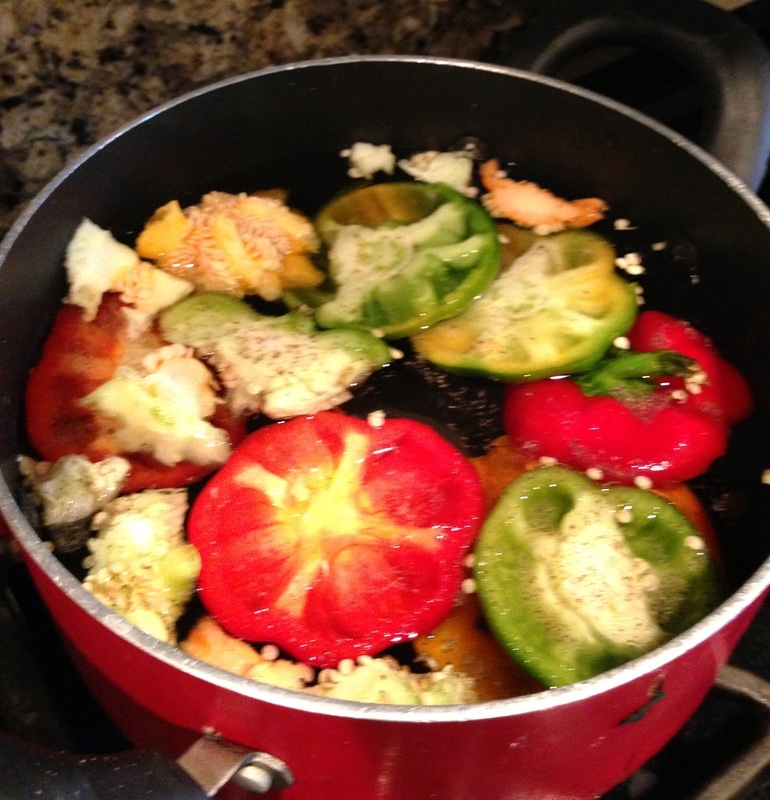 Put all pepper discards- tops, bottoms and seeds with shallot skins in pot cover with water and a dash of Tuscan seasoning. 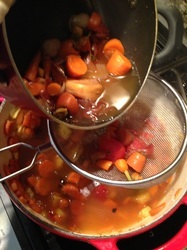 Cook for 30 minutes will be used for your broth later in recipe. 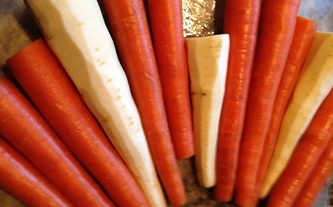 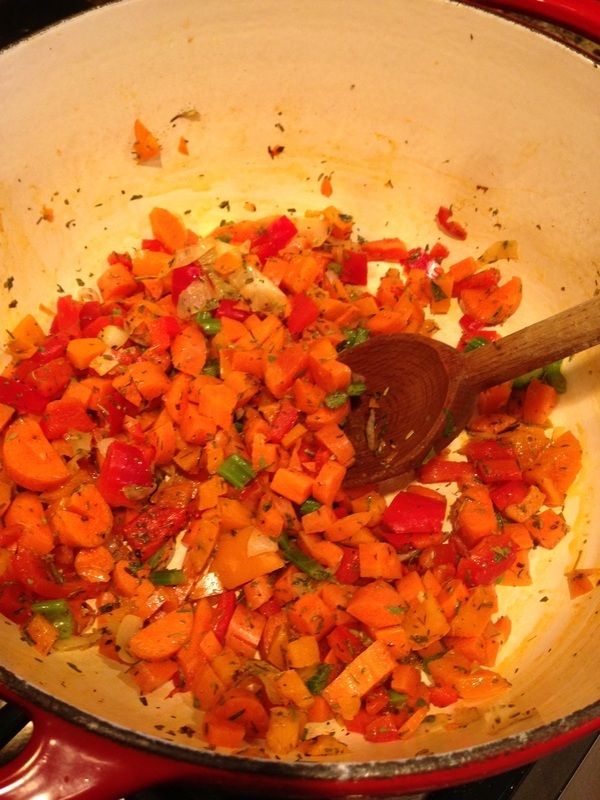 If you want to skip this step you may use vegetable broth of your choice. 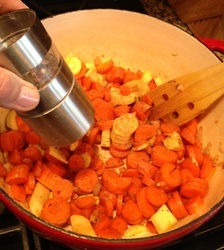 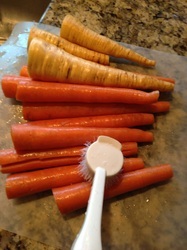 Saute Shallots, Parsnips and Carrots in large soup pot with seasoning and olive oil. 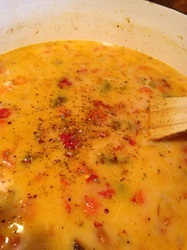 Cook 10-15 minutes. 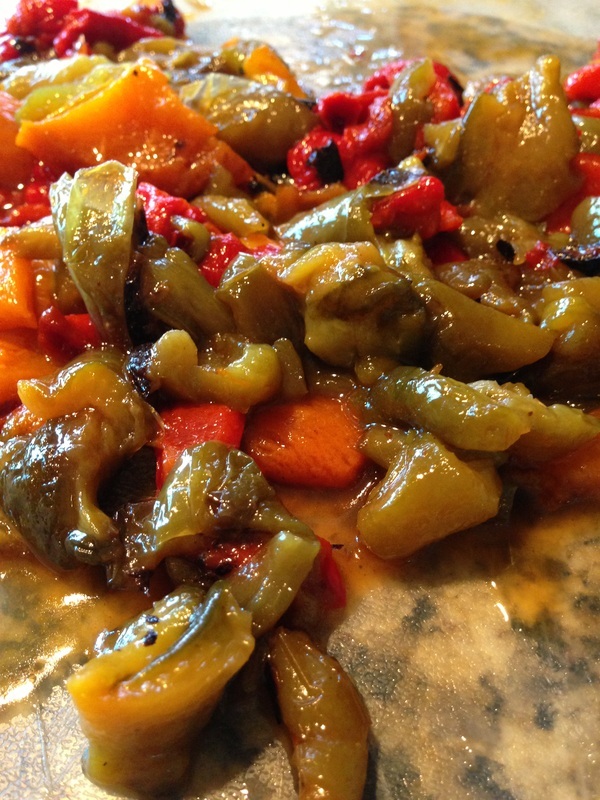 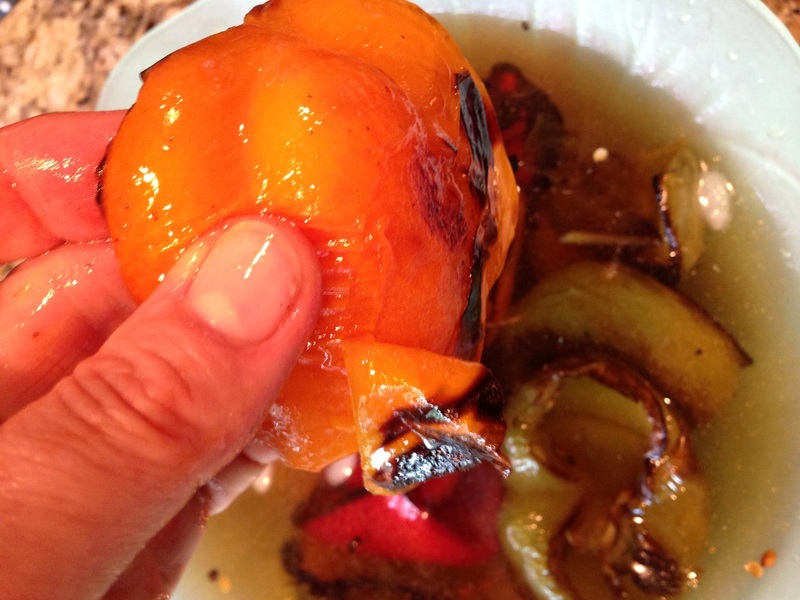 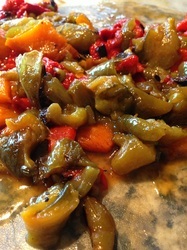 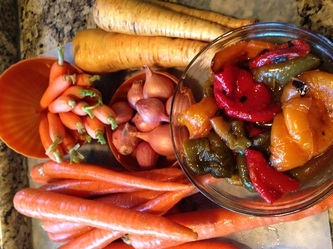 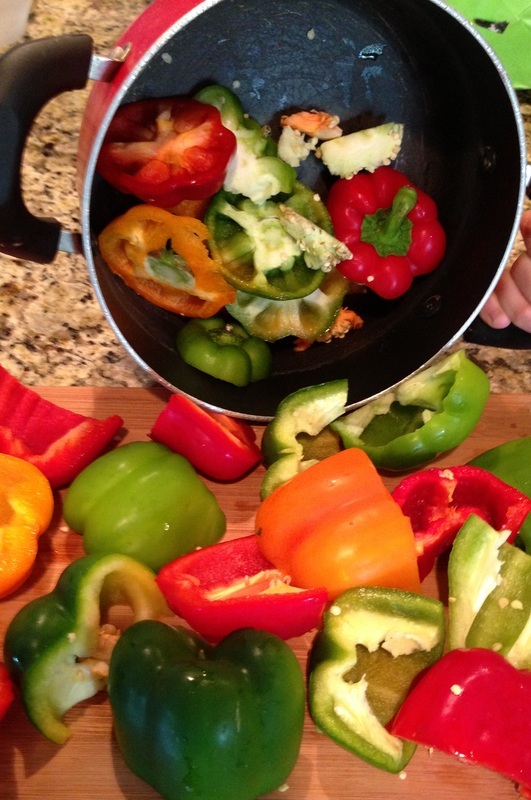 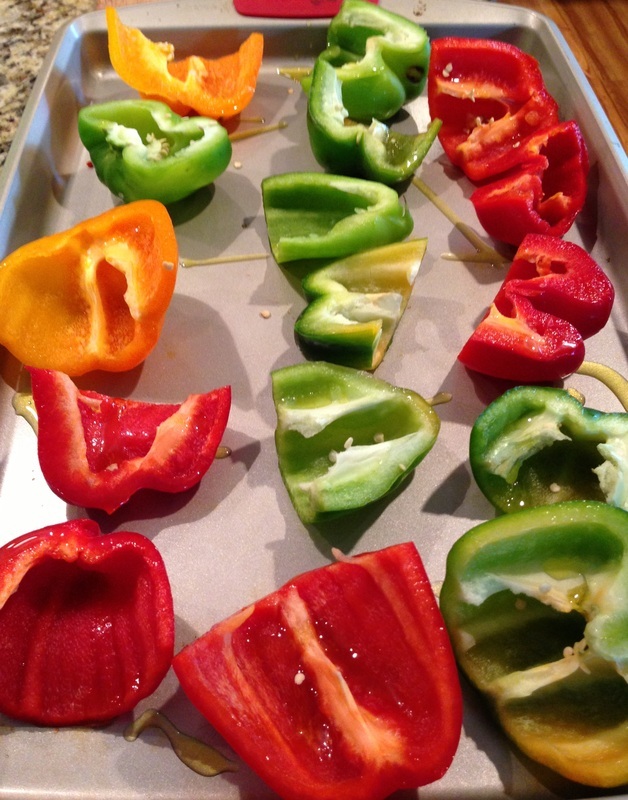 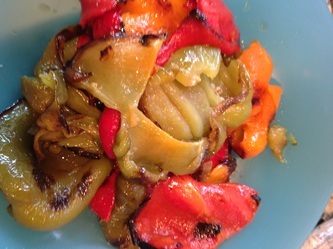 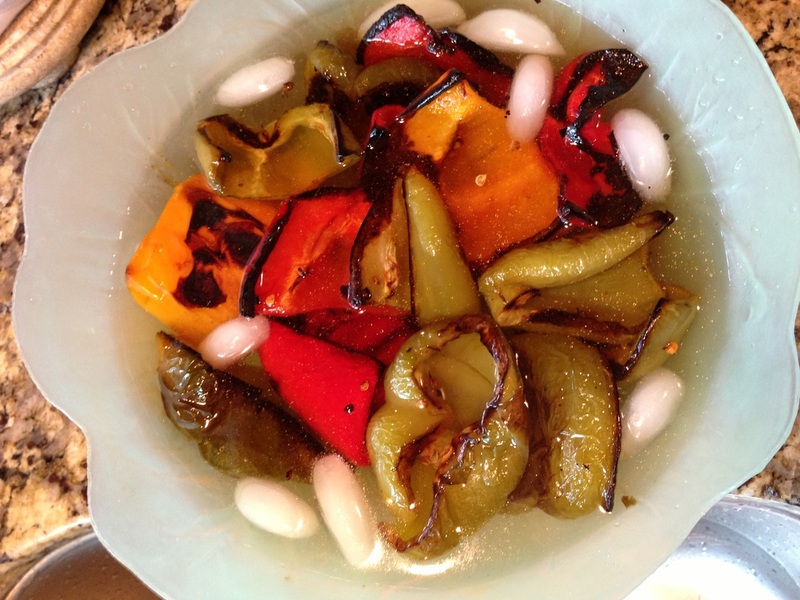 Add chopped roasted peppers with juices and strained broth. 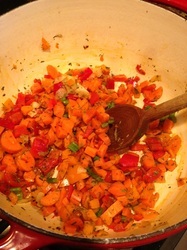 Cook 5 minutes. 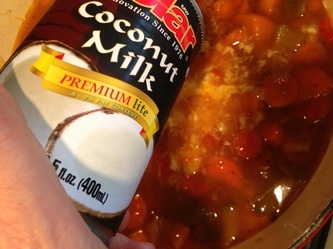 Add one can light coconut milk, cook until soup is heated through. Serve warm. 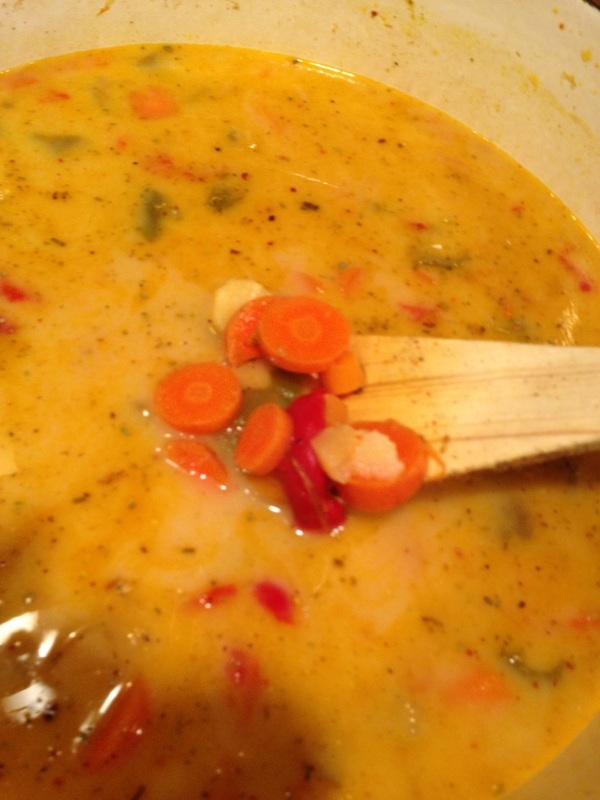 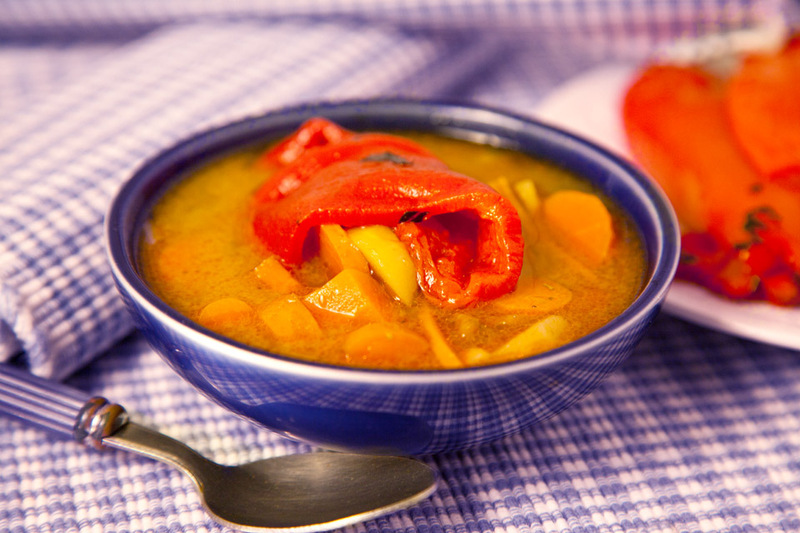 The blend of the roasted peppers with the carrots and coconut milk make this a very delicious multi layered soup. 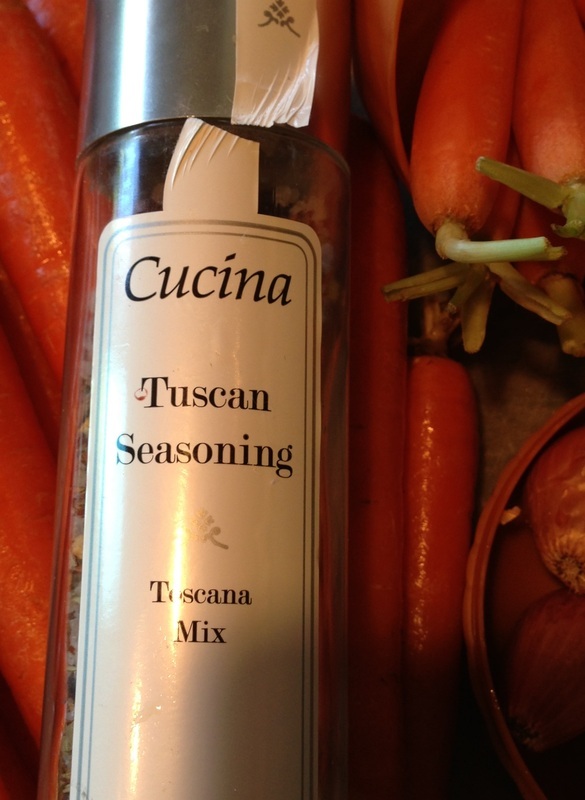 The Tuscan seasoning adds a nice little kick as well.